I had the best time on Wednesday with my blogging pals Kathleen of Sassy Granny and Mary of Piles of Smiles. However, when I sat down to write a blog post about our fun day in Prescott, Arizona ...my computer crashed and burned! What kind of timing is that? Hopefully, it will be repaired later today. All I can say is ...I love our bloggy world. Oh no Debbie I am so sorry. Bless your heart, hope it gets fixed soon. I love you. How fun to meet and hang out with these women..
Oh Debbie !! I am soo sorry! I hope it is fixed soon. I LOVED watching your video with Kathleen and Mary! You two are soo funny :) I am sooo glad you were able to get together and encourage each other in the Lord! Ugh - praying it is fixed fast! Oh no! Praying it gets fixed quickly! I agree...I love our bloggy world! I'm "new" as you know, but I have already been made to feel so welcome! It is wonderful to see what God is doing out there in cyberspace. 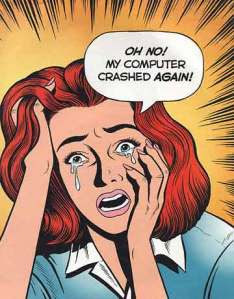 I hope your computer is up and running again soon! Have a great weekend! Oh, yes...technology is grand...when it works...but when it doesn't...look out! I'm sorry about your computer. I love the bloggy world too. I love that I met you. Can't wait to hear your take on the lunch! You all looked incredibly happy and friendly. Aren't blogging friends the best? I adore the few I've met in person and hope to someday meet many more of you.